And I thought I didn’t like bread pudding! Are you a connoisseur of bread pudding? Do you have your favorite kind of bread, or ingredients? What kind of sauce do you like, Cognac sauce, whiskey, or bourbon or rum sauce? 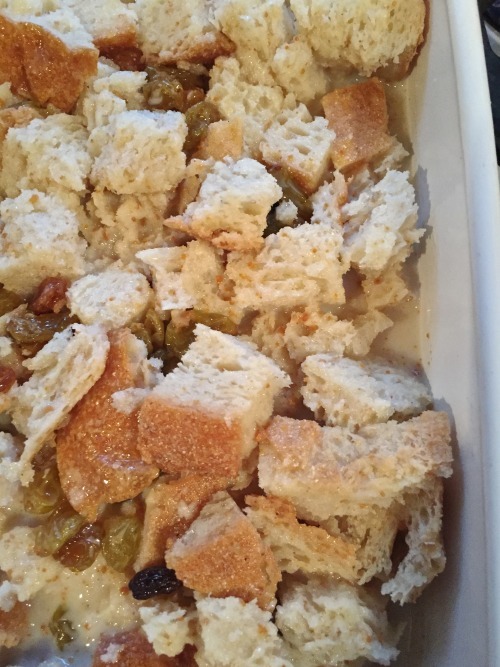 Honestly, I have always said I don’t like bread pudding; guess I thought it was like just eating more bread with your meal, and who needs that. Then one year I made a Pumpkin Bread Pudding for a catering job and was told by someone who it was one of the best she had eaten. I still didn’t try that recipe until recently and I have to say I enjoyed it very much. 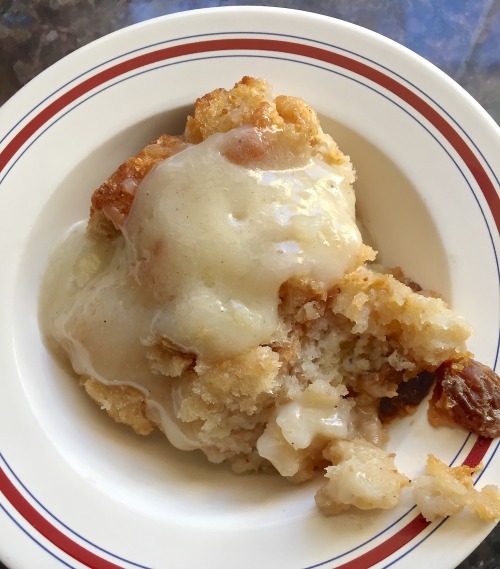 This Christmas Bread Pudding is a recipe from Boudro’s Restaurant in San Antonio and I’ve been told by a friend’s husband (who is a connoisseur of bread puddings) that it is one of the best he has tasted. I decided to change the raisins in Boudro’s recipe to golden raisins and to keep with the season I will add dried cranberries in place of the raisins when I make this Christmas Day. 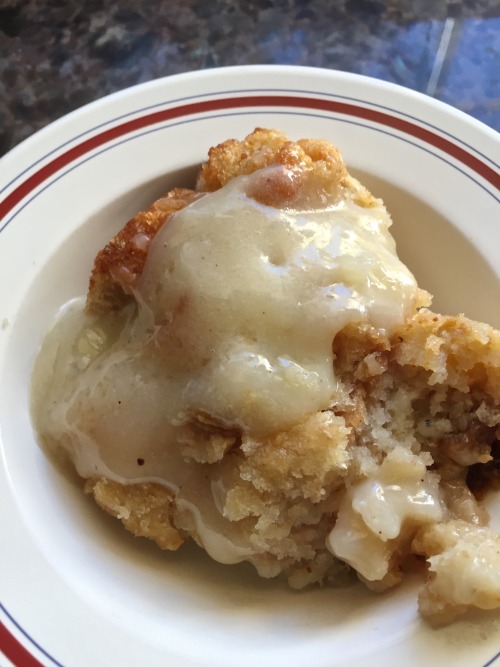 The name was changed to “Christmas Bread Pudding” because this seems like the perfect dessert for your Christmas dinner and you have to make it before everyone starts counting those nasty calories in January. I hope everyone has a very merry CHRISTMAS and a Happy New Year. Thank you to everyone who follows my blog post; I love cooking and sharing. If you lived closer, you could come to dinner in our outdoor kitchen we have named “Michie’s Table”. BLAST FROM THE PAST: Parmesan Shrimp Toast was one of my all time favorite appetizers that I made when I catered cocktail parties. I guarantee you without a doubt you and your guests will love it; over 10,000 view have been made of this recipe. 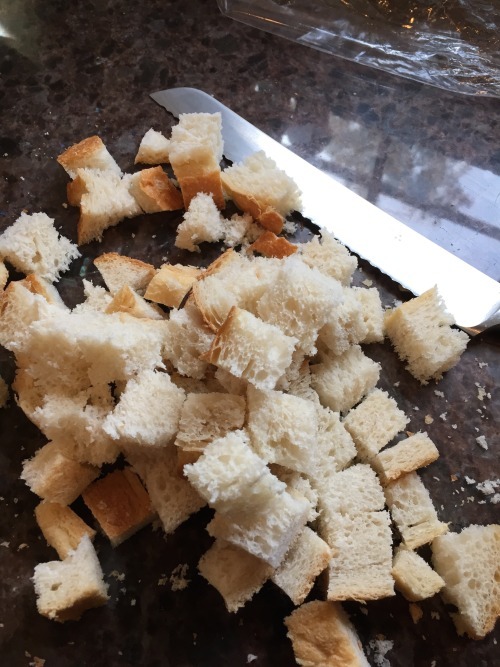 Cut up about 8 cups of bread into 3/4″ cubes. I let mine set out an hour or so to stale a bit. 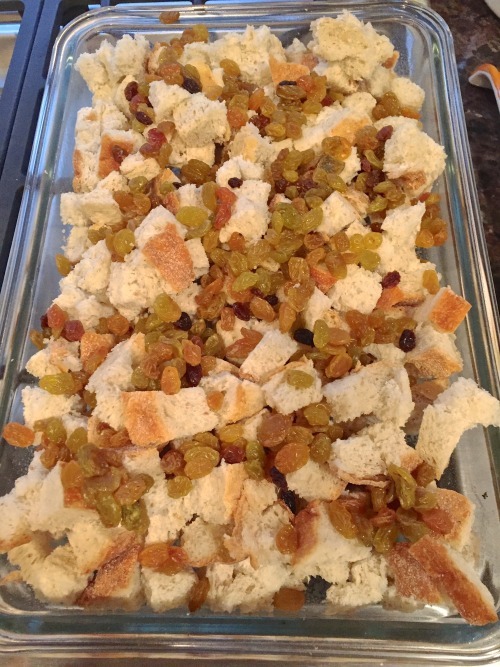 Put the bread cubes into a buttered 9 x 13 baking dish and scatter on the raisins. 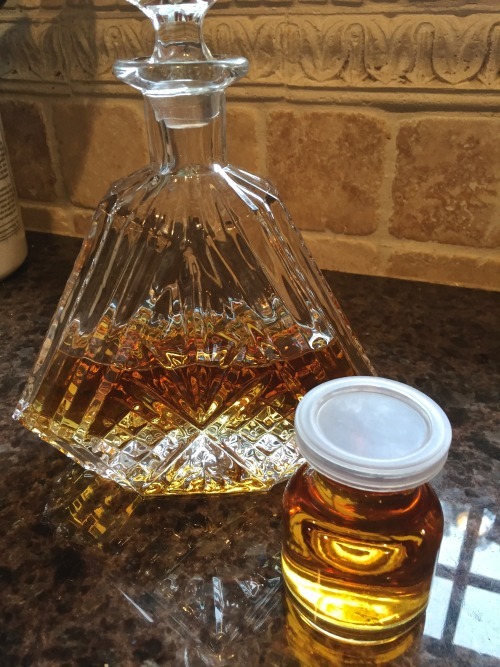 Measure about 1/2 cup of good bourbon (or cognac) for the sauce. Serve warm bread pudding with the bourbon sauce. Cut the bread into 3/4"cubes and put in a buttered 9"x11" baking dish. Whisk together the eggs, sugar, vanilla and milk in a bowl until well blended. Add the mace and stir. Sprinkle the cranberries (or raisins) over the bread cubes then pour the milk mixture over the cubes and mash down a little with your fingers (or spoon) to moisten. Let set several hours or overnight in the refrigerator. Bake at 350° for 30-45 minutes. For the Bourbon Sauce-- In top of a double boiler, mix sugar, cornstarch and salt. Gradually stir in cream and butter. Cook over double boiler until thick and creamy, stirring often until the sauce coats the back of a spoon and leaves a path when you pull your finger across it. Stir in the nutmeg and bourbon. Keep warm until ready to serve. You can make the bourbon sauce earlier in the day and reheat.